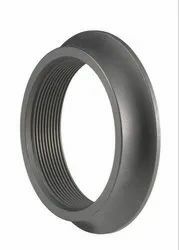 Offering you a complete choice of products which include pipe tank flange. Ganga Technocast is an eminent name of the industry engaged in manufacturing and supplying a superior quality range of Forged and Pipe Fittings. The entire range of products is manufactured using genuine quality raw material procured from some of the most trusted names of the market. Offered at highly competitive prices, these products are widely used in several industries and sectors. Looking for PIPE FITTING PARTS ?